The launch of Apple's new iPad tablet computer has set off a firestorm of plaudits and criticisms, but one thing is certain: The Age Of The iPad has begun and it will change email marketing forever. Whether you're on the side of "If Saint Steve Jobs sells it, I'll buy it" or "Where's the camera / replaceable battery / multitasking / Flash / Skype / USB / HDMI / OLED..." you have to admit that the iPad (enough sanitary jokes already, thank you) has certainly shaken up the consumer electronics sector. iPad version 1.0 may not be a sales success to parallel some of Apple's previous smash hits, but it is indisputable that Saint Steve has opened the floodgates to tablet computing and we can expect the waves of tablets from a flotilla of brands to saturate the market soon. The first iPads won't be on sale for two to three months, so right now is the time to look ahead to determine the best way that you can appeal to tablet owners. It's obvious that one of the primary uses of tablets will be email, so Apple may just have presented a late Christmas gift to email marketers everywhere. The marketers who are able to appeal specifically to tablet owners and concoct email campaigns that take advantage of the particular characteristics of the new breed of tablets are the ones who are going to obtain significant success. The market is there for the taking. Although it can be argued that many of its features have already been present for a while on existing tablet PCs, the iPad has established a new paradigm in the minds of consumers: The "pinch and swoosh" hands-on manipulation of tablet functions will soon become the standard. In the midst of this futuristic eye candy platform, will your staid, basic, straightforward email even be noticed? Have something interesting happen when the user turns the unit from landscape to portrait. Place a series of images, or effects, or "something" that the user can pinch and swoosh around. Go multi-page so that the fancy "page turning" effect can be implemented. Make your email visually relate to the side list bar when the email client is in landscape mode. 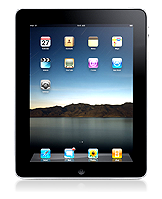 Create an app or iTunes download that ties into your brand and preview it in your iPad email. Remember the early days of Mozilla browsers when most websites were full of flashing, dancing, jiggling, strobing junk? Good. Avoid that. You don't want to put in special effects just to show you can. iPad owners are going to be web-savvy and you will need to relate your pyrotechnics to both your message and their sensibilities to keep from alienating them. The Age Of The iPad is certainly going to be an exciting one for email marketing. As with every other major technical innovation, there will be those who will blaze a pioneering path to reap the benefits and others who fail to grasp the impact until it's too late. Which side will you be on? Couldn't disagree more. Devices like the iPad have been around for 20 years (Go back to the original Slate). The iPhone and the Droid are game changers certainly, but the iPad follows a more traditional approach and is not terribly innovative. No, don't send email marketers to their "Hefty Hourly Rate" earning tech guys...come on really. The iPad is not really new or innovative, and only chumps would be jumping to purchase or revamp their basic email structure. Silly article. Sounds to techie for me. But when the market does develop to become more of an app then I'm sure there will be plenty of company's all wanting your custom to market your products on these apps. Hope benchmark doesn't spend too much R&D on this. It'll be a very small market. My view is that the IPad will give users a different venue to perform daily tasks like email, reading, surfing in a form factor that is very mobile & productive. It is completely clear that everything is getting smaller, more powerful, and cheaper; the future holds many new innovations and this is one of many to shape things. I would not be dismissive, but eyes wide open with this technology. 1 million units in the first quarter doesn't sound like a small market to me.